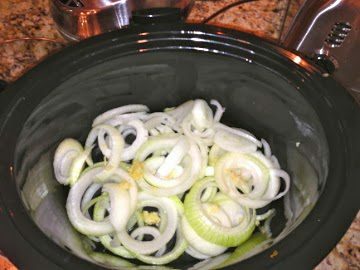 For the Pork Sandwiches: In the slow cooker, create a bed of onions and garlic. 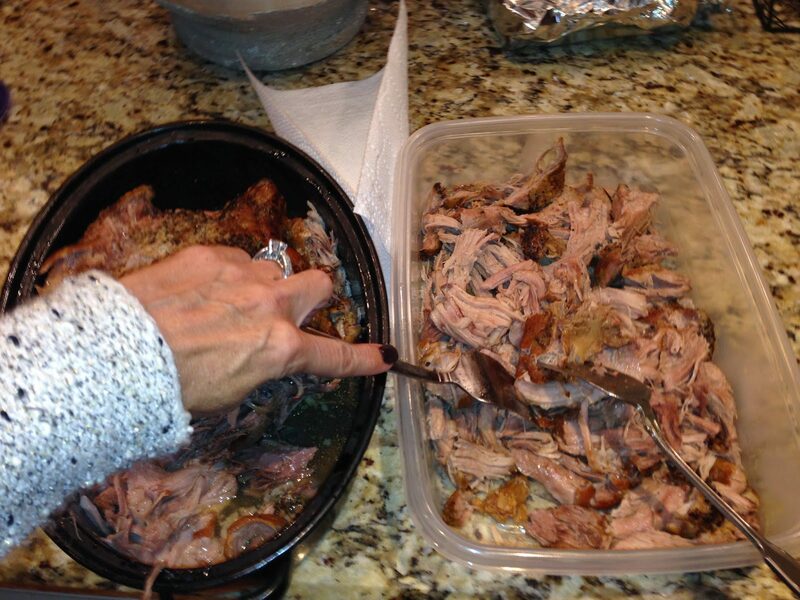 Season the pork shoulder generously with salt and pepper. 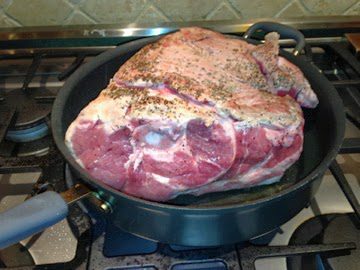 In a large cast iron pan, sear the pork on all sides. 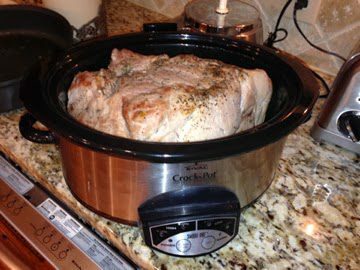 Then transfer to slow cooker. Deglaze the pan with some beer, scraping up brown bits. 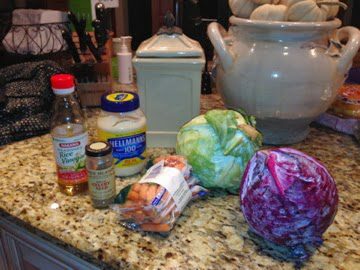 Pour contents of the pan into the slow cooker. 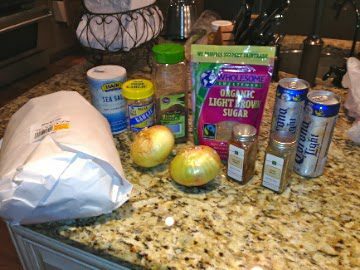 Add the sugar, spices and remaining beer and cover. 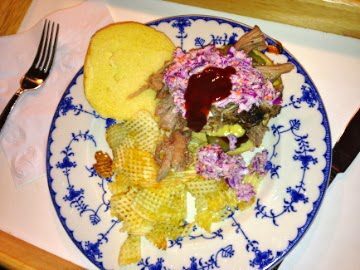 Cook the pork on low for 4 to 6 hours. 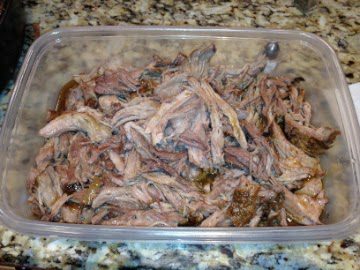 Shred the pork, and transfer to container with some of the cooking liquid. 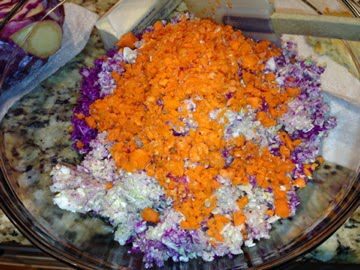 Combine the cabbages and carrot in a large bowl. 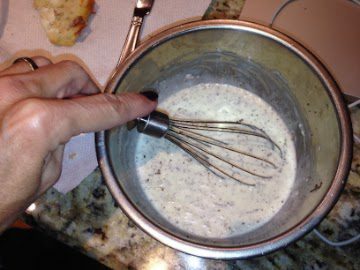 In another small bowl, combine the mayonnaise, apple cider vinegar, celery seed, sugar, and season with a pinch of salt and freshly ground pepper, and mix to thoroughly combine. 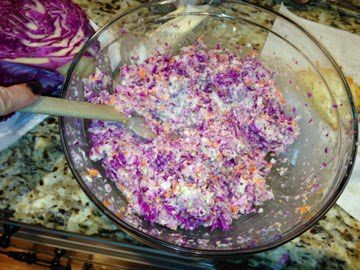 Add the dressing to the cabbage mixture and toss to coat. Chill in refrigerator until ready to tailgate. Slice bread and lightly toast, if desired. 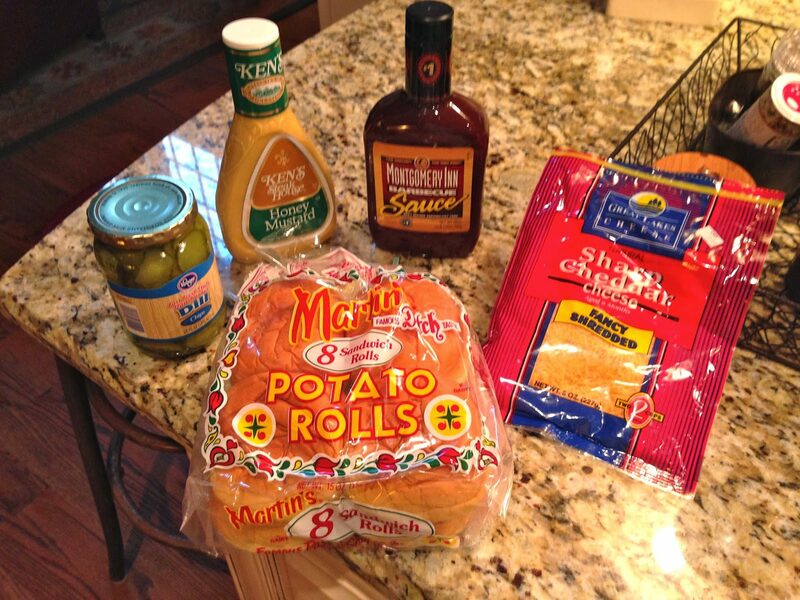 Put everything in your carrier and head to your tailgate. 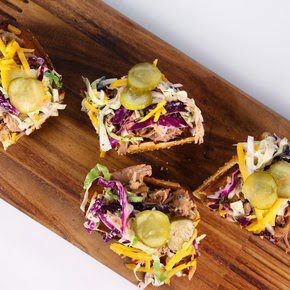 Assemble open faced sandwiches with pork, cole slaw, shredded cheddar, bbq sauce, honey mustard, and pickles. 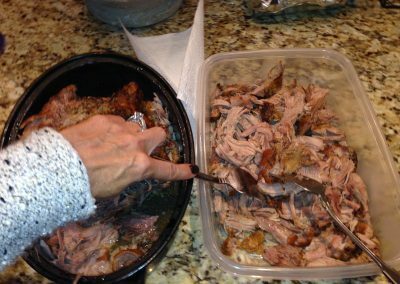 You only need to pour the beer up to the bottom of the pork, because the onions will release water.